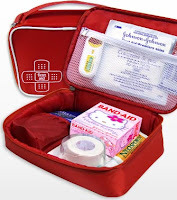 Get a First Aid Bag with the purchase of three qualifying first aid products. Before you bring on summer, be ready with first aid essentials. Get prepared to clean, treat and protect wherever you go. Choose three first aid products and we’ll add a free First Aid Bag to your cart. Fill it up with what you need. Find it only at Target. Click here to see the online offer. Check with your local Target store, and see if they have this offer. The one near my house had a kiosk with bags and first aid products, but I didn't notice if the bag was free. Get a FREE download of the Emeril's Celebrates 20 Years cookbook! Note that this file is in PDF format, so you'll need to have Acrobat Reader installed to view it. It's also a very large file and may be slow to download. Click here to sign up. 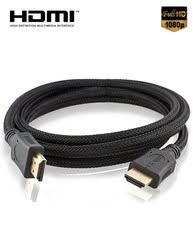 Use Promotion Code: FREESALAD , offer exp: 06/22/10. Sign up and wait for the confirmation email. Confirm your email subscription and from there you will immediately see and be able to print your store coupon for the Free Salad. 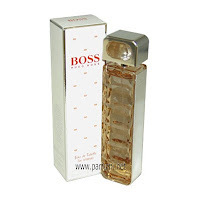 Complete this form and we'll send you the scent that you can wear with passion. Samples are available as long as the stock lasts. We take great precautions to keep the information you share with us private. You must be aged 18 or over to request or send a free sample. Please allow 28 days for delivery. Only one sample per household will be provided. There's so many things to do this weekend... remember to check out these deals! Kids eat free a list of places your kids can eat free! Beetlejuice at Hollywood Forever - Saturday. Watch this classic with former Hollywood stars! Free concert in DTLA Live acts include Hip-hop, R&B, Soul, Eclectic-beats and special event concerts. 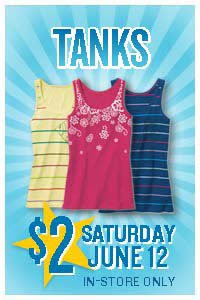 $2.00 Tank Tops at Old Navy - Saturday only! Not free, but pretty darn close! Free Sweet Tea at Popeyes - Saturday only! Blow Up at Hollywood Forever - Special Sunday screening. A movie directed by Michelangelo Antonioni (1966 111 mins) Gates open at 7:30 pm, movie at 9:00 pm Remember, as a courtesy to other moviegoers: NO TALL CHAIRS!! Enjoy garden classes & events every month at Armstrong Garden Centers! You don't need a huge backyard to be a gardner. I have my own little patio garden with tomatoes, strawberries and flowers. No registration required. Simply show up ready to learn about gardening. Click here for an Armstrong location near you. Remember, if you sign up for the Armstrong Garden Center email, you get a free gift on your birthday! Come to Peet's this weekend and get a FREE iced beverage when you buy one for a friend. This Saturday and Sunday only - offer ends June 13. Print coupon or show this post to your barista on your mobile device. Movie begins at 9:00 pm NEW TIME!! Tim Burton's fantasy/ horror comedy is one of the most fun and imaginative films of the 80s. A couple of recently deceased ghosts contract the services of a "bio-exorcist" in order to remove the obnoxious new owners of their house. Winona Ryder stars as the moody teenage daughter who befriends the ghosts and helps them with their problem with the living. The fantastic make-up special effects won an Oscar. Join us for this special screening below (and above) the stars. If you love all things Disney, download this free Widget for your computer. It keeps you up to date on Disneyland, Disney World, Cruise Line, Vacation Club, and Adventures by Disney. Click here and click here for a list of restaurants where your kids can eat free! (Some are free with purchase of an adult entree). Always double check with the restaurant! HUGE Online sale going on! Free shipping on $50+ orders with code 4501 or 2980 Hurry... these items will be snapped up in a New York minute! Happy Freebie Friday! Today is your chance to score the 5 in 1 Face Cream SPF 30 from First Aid Beauty (aka FAB), an amazing line of fragrance-free, allergy-tested skincare. This moisturizer is the ultimate multitasker, featuring 5 key benefits (prevents and reduces fine lines and wrinkles, corrects uneven skin tone, filters UVA/UVB rays, nourishes and moisturizes, and combats free radicals)—a must-have for everyone, especially those with sensitive skin. Hurry, you must enter this contest today! 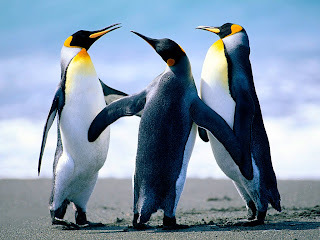 3 winners selected. Take any 3-hour class at the main facility in Laguna Beach or at Le Gourmet Kitchen in Orange. The certificate is valued at $85, so you save 47%. The offer is valid only one day, but the certificate expires in 1 year. Limit 2 per person, may buy multiple as gifts. Not valid for private parties, private events or merchandise. 48-hour cancellation policy or Groupon is forfeited. Subject to availability. By appointment only. My sincerest apology for the constant changing of my blog design. I'm fairly new to the world of blogging, and I wanted to find a design that wasn't too bold, but also not "blah!". So, hopefully this is the last change you will find. This offer may be only for Harrahs Total Reward cardholders. BAILE BAJO LAS ESTRELLAS Featuring Lupillo Rivera, Banda Machos, Grupo Yndio and Industria Del Amor! Call 1-888-215-9811 and mention offer code RINJUNE18 for your 2 FREE tickets. Ticket pick-up will be at the Open Sky Theater Box Office from 6pm-10pm on Friday, June 18th. June 10 is National Iced Tea Day! In honor of today, Snapple is providing a BOGO coupon. BOGO from Tully's Buy a Bellaccino Bliss and get one free! One can per street address, while supplies last. No purchase necessary. The Knowlwood burger restaurant that closed several weeks ago in downtown Fullerton is reopening Thursday. The Fountain Valley company confirmed that the Fullerton location will reopen for breakfast Thursday (June 10) at 7 a.m. -- THAT'S TODAY! As a “thank you” to customers, the chain we will also be hosting a “$4 Burger Special” all day Thursday, the company said. For $4, all restaurants will offer a 1/3-pound World’s Best Burger, fries and a drink. The special is valid at all Knowlwood locations in Anaheim, Fullerton, Santa Ana, Irvine and Laguna Niguel. Fullerton hours: Sun-Thurs 7 a.m. – 9 p.m. and Fri & Sat 7 a.m. – 10 p.m.
It’s a hot One Day Wonder with a sizzling summer steal this Saturday (6/12) only at Old Navy stores: Tanks for $2! Don’t miss out! Most stores open early just for this super occasion but check local listings for hours! See you Saturday! Tanks for women and girls are $2 (Reg. $6.50–$8.50). Valid in U.S. only, while supplies last. Select styles only; excludes embellished styles. Limit 5 per customer. Stores open early. Check your local store for hours. First 4,000* to respond will receive a Windex Outdoor All-in-One Glass Cleaning Tool Starter Kit and a bonus cleaning pad. It's summer and the sun is shining—so let the light in! Take advantage of summer’s sunny days to clean your outdoor windows and get instant gratification. It’s an easy, low-cost way to give your home a bright new look that will boost everyone’s spirits. Windex™ Outdoor All-in-One is the fast, easy way to clean your outdoor windows. Simply spray, wipe and rinse. No need to hand dry. It's a small effort that yields brilliant results. "Well Being" for Dummies or "Retirement" for Dummies. The Elephant Bar is promoting $10 lunch specials, and giving a $7.00 off coupon with a $25 purchase. Basically you need at least 2 people in order to take advantage of this (if both persons buy a drink). Get a 4-pack of muffins with any breakfast purchase. Take Dad out for lunch on Father's Day at Buca Di Beppo. Save $10 when you spend $20. For Honda Center in Anaheim, CA only. Through Friday at 10 pm. You will be required to sign up for the Fan Club to purchase tickets. If you live in the LA area, check out the new Pollo Campero at The Home Depot Center! What is Pollo Campero? Click here to find out!